Veteran Warren Gohl of Tacoma. Department of Corrections 1980 – 2006. Retired as Community Corrections Officer 3 – Tacoma DOC. US Army 1959 – 1980. Retired as Chief Warrant Officer, US Army. American Indian Background: Descendant maternally of Chief Comstock, Seneca on the Sandusky, Ohio. Tribe relocated pursuant to Treaty of Greenville, Ohio, in 1832, to Indian Territory. Later formed as Seneca-Cayuga Tribe of Oklahoma. 2003 – Present: Chaplain, Inter-Tribal Warriors Society. 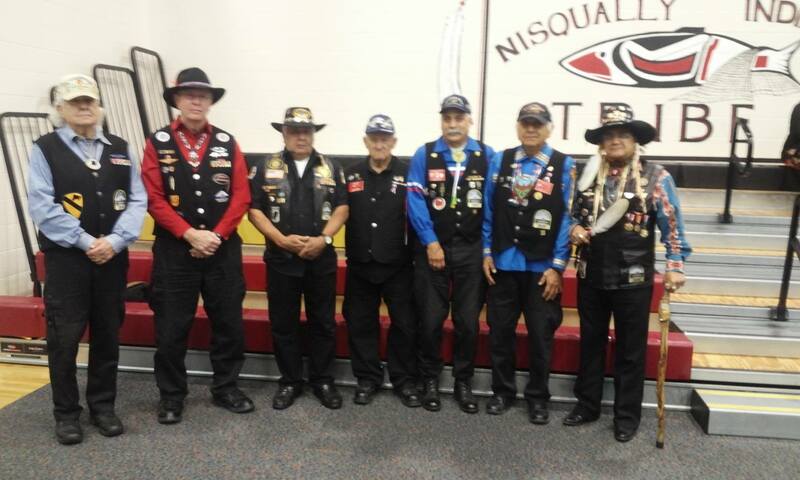 A veterans support organization sponsored by the Muckleshoot Tribe of Auburn, Washington. 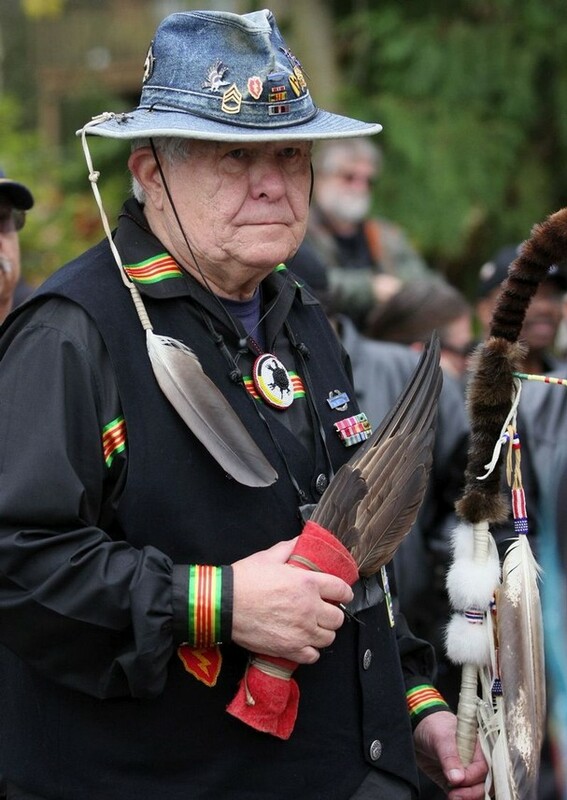 Society provides scheduled honor guard memorial services to deceased veterans at Tahoma National Cemetery and American Indian veterans in their communities. 2007 – 2013: Traditional American Indian Religious Services Provider, Stafford Creek Corrections Center, DOC. Contracted by the United Indians of All Tribes Foundation, Day Break Star, Seattle. Provided traditional religious services to the Stafford Creek American Indian/Alaskan Native Circle. 2010 – 2012: On call American Indian Religious Services Provider, Washington State Hospital Forensic Confinement Center. Provided traditional religious services to American Indian and Alaskan Native inmates. 2010 – Present: Member, Joint American Indian Veterans Advisory Council to the Veterans Adminstration Northwest Region. Represents the Inter-Tribal Warrior Society and the American Lake Veterans Hospital Sweat Lodge. 2012 – Present: White Bison Wellbriety facilitator, Special Confinement Center, DSHS, McNeil Island,WA. Provides American Indian/Alaskan Native Circle traditional based values to counteract influences of sexual violence and trans generational trauma. 2012 – Present: Member of the Race and Pedagogy Initiative, Chair, Dr.Dexter Gordon, University of Puget Sound, a national levle academia and community based program designing methodology to interdict minority ethnic “School to Prison Pipeline” and unobstruct the “Prison to Community Pipeline”. 2012 – Present: Chief Elder, Elder Council, American Lake Veterans Hospital Sweat Lodge. Council provides American Indian traditional purification sweat lodge to male and female veterans afflicted with conditions of PTSD, Tramautic Brain Injury and Sexual Trauma. Sweat Lodge available as requested as adjunct therapy for veteran family members and VA staff. 2013 – Present: On Call Traditional American Indian Religious Services Provider to American Indian and Alaskan Native psychiatric/substance abuse in-patients of the Seattle Veterans Hospital. Recommended by the Seattle Indian Health Board to provide this service. This entry was posted in Make No Bones Shows and tagged Native Vets, Redbone speaks with Veteran Warren Gohl of Seneca Nation. Bookmark the permalink. I have know Warren for over 45 years since we were NCOs and later warrant officers together in Germany after Vietnam from 1968 thru 1978 and laater as retirees in Tacoma and with Dept of corrections. Now we are both with Tahoma National Cemetery Honor GuardAssn. Great to be together in Auburn yesterday.